From tacos to Philly cheesesteaks to lobster tails and mini doughnuts, Raleigh’s food truck rodeo had every kind of food you could imagine, all in one place. 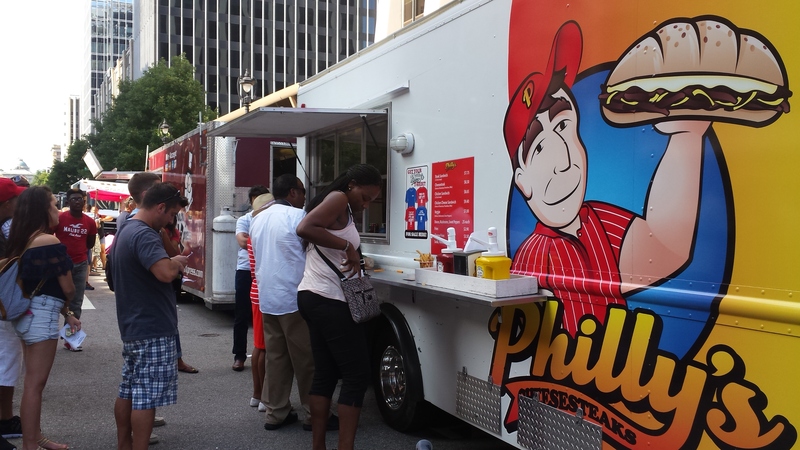 With 58 food trucks and eight food carts lined up along Fayetteville Street, the food party spread out over 11 city blocks. 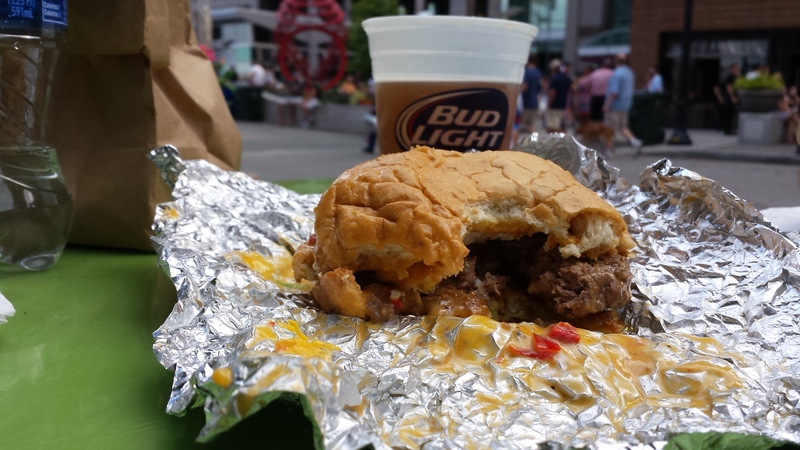 On Saturday, August 9th, 58 food trucks covered 11 city streets. No matter if you were craving Italian, Chinese, bacon, cupcakes, or are a vegetarian, you were guaranteed to be satisfied. Vendors showing off their delicious skills included Soomsoom Pita Pockets, Gnam Gnam Gelato, D’ Burritos, Master Bacon, Thai Box Zing, CockADoodleMoo, Baguettaboutit, OMG Chicken, Gussy’s Greek, Valentino’s Food Truck, Pie Pushers, and Barone Meatball (that was a mouthful). From 4-9 p.m. these trucks and others were constantly cookin’ up the goods, as the lines at many of the stations were continuous. I had to stop at Taco Grande for a chicken taco! Because my boyfriend, friends, and I wanted to taste a couple of different foods, we didn’t fill up at one place. In total, we stopped at about eight places to eat and drink, which included chicken and beef tacos, burgers, lobster tail, beer and cider, wine, a Philly cheesesteak, a spicy chicken rice bowl, ice cream, and doughnuts. We would have continued, but there’s only so much one person can eat, unfortunately. A green tomato burger from Only Burger that did not survive. As a native New Yorker and a North Carolinian in training, and a survivor of picky-eater-syndrome (I made that up), I was beyond excited to check out downtown Raleigh this past weekend. 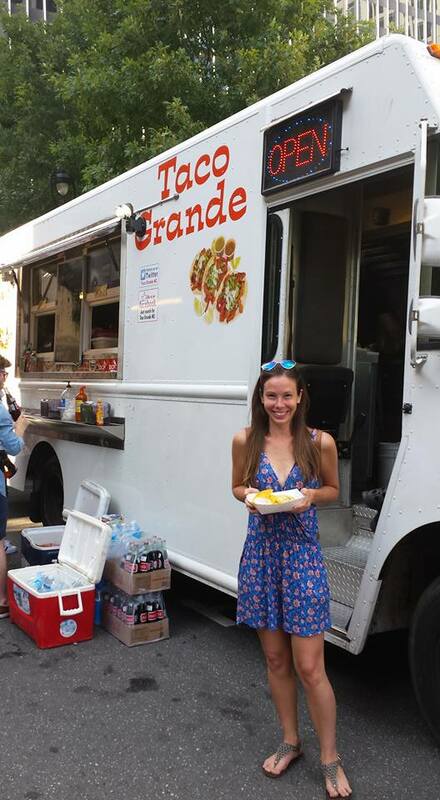 This food truck event was something completely new and delicious, and previously unheard of (yes, even in NYC, to my knowledge). Philly’s Cheesesteaks will hit the spot. 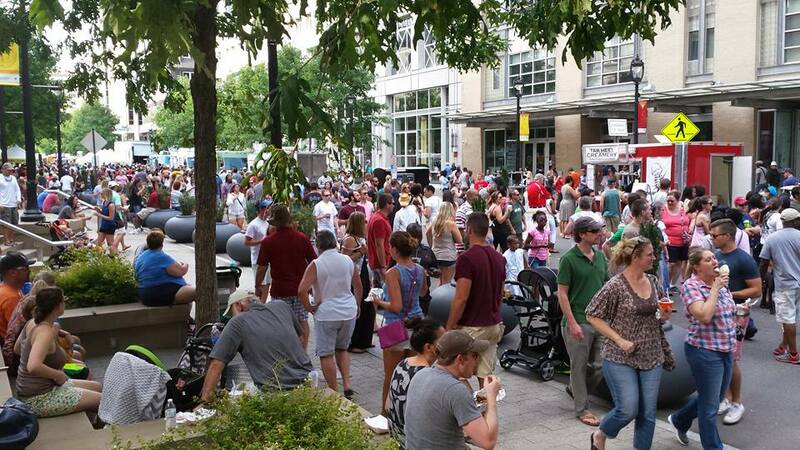 If you’re interested in taking a new bite out of life, downtown Raleigh will be hosting its next food truck rodeo on Sunday, October 11th.